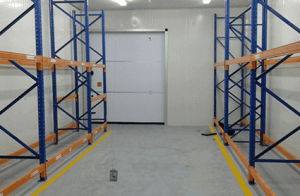 Vacker UAE is one of the best manufacturer and supplier of Cold storage rooms in UAE. With the help of our experts, we have succeeded to build a long-term vision to revolutionize the cold storage room service in the area. We provide customizable cold rooms solutions to our customers to meet the varying range of our customers. Our cold storage rooms are designed in such a way that will protect various products from perishing due to harsh weather. Lowcost, energy efficient Cold Rooms? The cold rooms are solidly build to maintain the desired suitable temperature for every kind of products. Whether you require storing mass products or a small number of products, whether your requirement is on industrial level or domestic level we have it all. 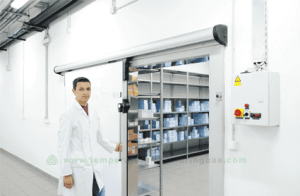 Our cold rooms are suitable for storing sensitive medicinal products, dairy products, fresh vegetables, fruits along with other temperature sensitive items. All our cold storage rooms have the finest cooling technique with a special focus on energy saving. Our cold storage rooms come with an excellent control system to maintain the temperature at the right degree. All the systems in the cold storage rooms are tested in a working environment before the final products reach to our customers. All the parameters are checked to ensure that there is no compromise in the quality of the system. Our products are highly reliable, have an excellent cost-performance ratio and strong operating system. 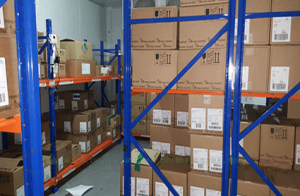 While there are various types of cold storage rooms supplied by our company our expert adviser will help you choose the excellent type to suit your requirement. These modular cold rooms are specially designed for the storage of food in huge quantity. Although these modular cold rooms can be used to store other types of products too it is generally popular for storage of food. The materials used in cold rooms are safe for the food and the cold storage room is easy to install as well. Sometimes the user requires to store different types of products in the cold room. The safe temperature for all these products may also vary. Now it may not be possible for the user to install different cold rooms for each kind of product. Such a thing will be quite expensive as well as impractical. Hence for such situations, it is better to install combi cold rooms. Combi cold rooms have separate temperature zones in it for the storage of products. The user can choose the suitable temperature zone for the products to be stored. The walk-in cold rooms are literally huge cold rooms which come with a large storage capacity. These walk-in cold rooms can be found in both types of model i.e. modular cold room and combi cold room. These are one of the most popular types of cold rooms for the industrial use. Sometimes all the requirement of cold rooms cannot be fulfilled by industry made cold rooms. in such a situation, we also provide custom built cold rooms. These cold rooms come with the necessary added features to meet the requirement of the user. We need to install a large cold rooms in our farms in Cambodia to retain the freshness of moringa leaves. Where would be be the nearest office I can consult wwith. Our farm is about 200 km from Seam Reap.